The 35 hotel rooms have a colonial architecture and decoration. In each room of the hotel you will appreciate Amazonian landscapes, experiences and traditions of our country. Our ideal location is the starting point to enjoy a pleasant stay for its excellent service and easy access to different areas such as the Church of San Francisco, the witches market, Sagarnaga street where you can see and learn about the traditions of our country. In the evenings you can enjoy the Hard Rock nightclub which is located a few steps away. Excellent service. They were very helpful when it came to providing me directions and tips for taking care of errands. I like that they understood that my trip didnt have a set itinerary and they let me adjust my stay without issue. Their breakfasts didnt end at the cut off time which also was fortuitous because I wake up late. The location was also convenient. Affordable and super clean rooms, great transfer service available and overall a comfortable stay. 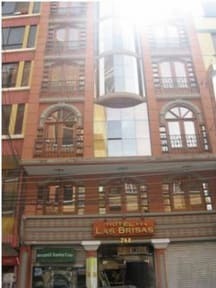 One of the better hostel in bolivia, its a bit loud though because its located right outside the main road. Other than that, everything else is superb. 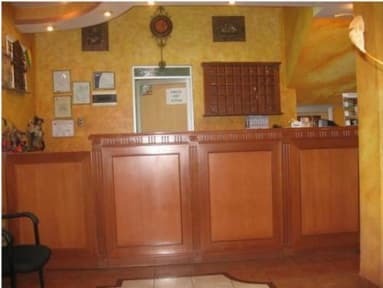 A clean, well maintained and safe hotel in a good location for La Paz. Not overpriced at market rates for the service received, which includes helpful and attentive staff. However, insist on a room as far from the street as possible and refuse any attempt to be placed at the front of building. No matter how high up you are, the noise will be defeaning, particularly if you're gifted with a midnight festival. No complaints about this place, though it isn't anything special either. I didn't have a very powerful shower and the hot water was a bit of a battle, though the location of this hotel is superb. Breakfast is basic. A lot of big western tour companies use it as a base, and it is conveniently located close to a lot of tour companies and the witches market.